Located on the western part of the Scandinavian peninsular, sharing borders with Sweden, Finland and Russia, Norway is the 'land of the midnight sun'. It has a long and fascinating history, with the first Viking settlers descending upon the land during the 9C. With a population of only just over 4 million, Norway remains one of the most sparsely inhabited countries in Europe today. It is home to mountain ranges, dramatic glaciers, spectacular fjords and mediaeval churches and for summer walkers, it has some of Europe's finest and wildest landscapes with deep alpine and spruce forests, river valleys, waterfalls and mountain plateaux. 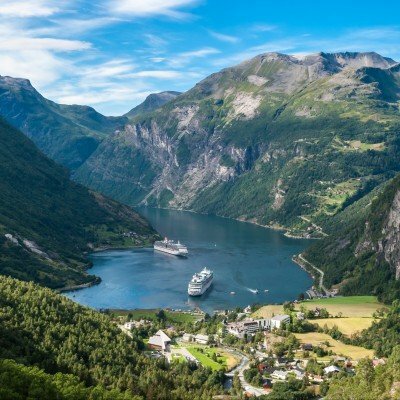 Our walking holiday is based in Western Norway's Sunnmore region, internationally recognised for its astounding natural beauty and takes in the very best the country has to offer.